Sunbird Cleaning Services cleans your floor, kitchen and bathroom tiles. Cleaning your tiles may be a tricky job and can sometimes require real expertise. You should select a cleaning service provider which specialize in tile and grout cleaning service or have such a department. It should also be performed carefully, lest high pressure steam could break the grout and lead to seepage of moisture into backing of floor. Tile cleaning is highly important. Overtime, the tiles become dull and their colors wear. They lose their sparkle and get covered with grime. The worst affected is the grout - the material found between the tiles. It is generally sealed in with a grout's sealant. The sealant, however, wear off with time and the grout gets stained. Normal foot traffic is another causative for wearing off the sealant. 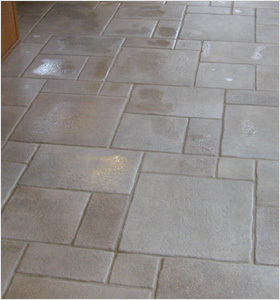 Once the sealant is off, grout is exposed to stains, giving a shabby appearance to the floor. That is why we at Sunbird Cleaning Services Charlotte recommends you to use our professional cleaning service. Our tile and grout cleaning process is consisted with a Six Steps program. The area to be cleaned is inspected and tile grout cleaning method chosen. Stains, spots and discolorations are identified and sprayed with an environmentally, safe pre-soaking spray. Area is cleaned off surface dirt with a high pressurized cleaning rinse. Corners and baseboards are examined for damage and thoroughly cleaned. The area is dried completely to prevent moisture damage. Regular cleaning of tile and grout actually works out to be cost effective. This also ensures that tiles and grout are free from mold and dirt. Getting them cleaned is a better option than getting them replaced, isn't it? Stains, grime and dirt can be kept off with daily sweeping and mopping of tiles. Irritants like mold, mildew and bacteria should not be allowed to accumulate and flourish. Sunbird Cleaning Services suggests you to keep fresh air inside the house. It is necessity for keeping your tiles clean. Our green cleaning service is part of our environment awareness program. Sunbird Cleaning Services uses only green and Eco-Friendly products in our cleaning process. These products cut down the risks of allergies and respiratory problems as well. They are safer to your family and usually cost even less. Our experienced team at Sunbird Cleaning Services Charlotte is trained to handle all kinds of dirt and stains you may have in your house or office. 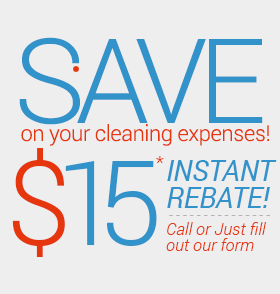 For more information, call 704-209-9333, we will be happy to assist you with every requests you have. Back to Sunbird Cleaning Services.